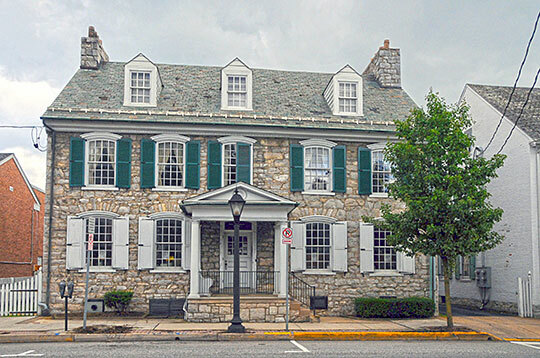 Municipal Offices: New Cumberland Borough 1120 Market Street, New Cumberland, PA 17070; phone: 717-774-0404. New Cumberland Borough was incorporated in 1831. Photo: William Black Homestead, ca. 1776. Drexel Hill Park Road, New Cumberland, PA. Listed on the National Register of Historic Places in 1977. Photographed by user:Jerrye and Roy Klotz, MD, 2008, (own work) [cc-by-4.0 (creativecommons.org/licenses/by-sa/4.0/deed.en)], via Wikimedia Commons, accessed March, 2015.